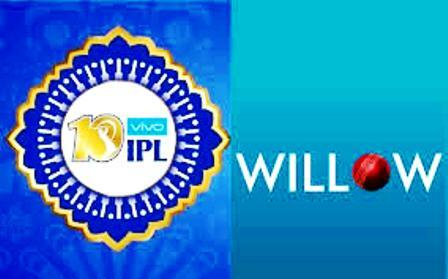 Willow TV is granted exclusive media rights to the US for Vivo IPL 2017. IPL 2017, time internet belongs Willow TV, an American sports channel has the exclusive rights to the media in the United States for the next Indian Premier League 2017, IPL 10. The channel also had the IPL media rights in earlier versions of the tournament, including 2014. Willow TV will provide live coverage of IPL 2017 on television and the digital platforms. The company says it will broadcast all the IPL t20 matches live from April 5. The series includes 60 different games played on 47 days at several locations across India. Last year, Willow TV said it has 80% of all cricket rights in the United States. Willow TV in the US had the rights to broadcast the ICC T20 tournament and ICC World Cup 2019. Willow TV claims to have an audience of 1.4 million households until 2016 when they telecast live coverage of ICC T20 world cup. Willow TV was acquired by Times Internet for $100 million in March last year. At this time, the company also acquired all acquisitions of broadcasting rights media or streaming rights, mainly in the US market to focus on cricket audiences. Willow TV channel and associated services are distributed by satellite, cable, IPTV and online platforms in a variety of subscription packages and this service is also available as pay-per-view in the United States on TV platforms.